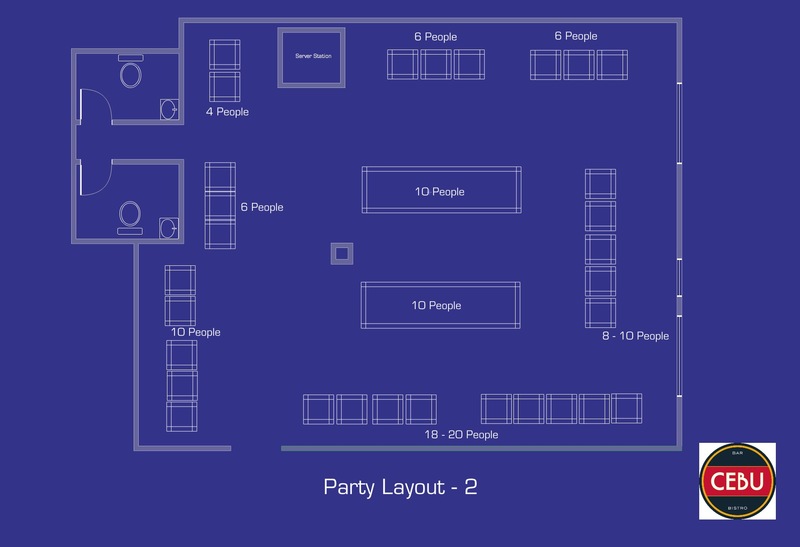 Please view the below floor plan samples of our Main Dining Area as well as our Middle Bar area. 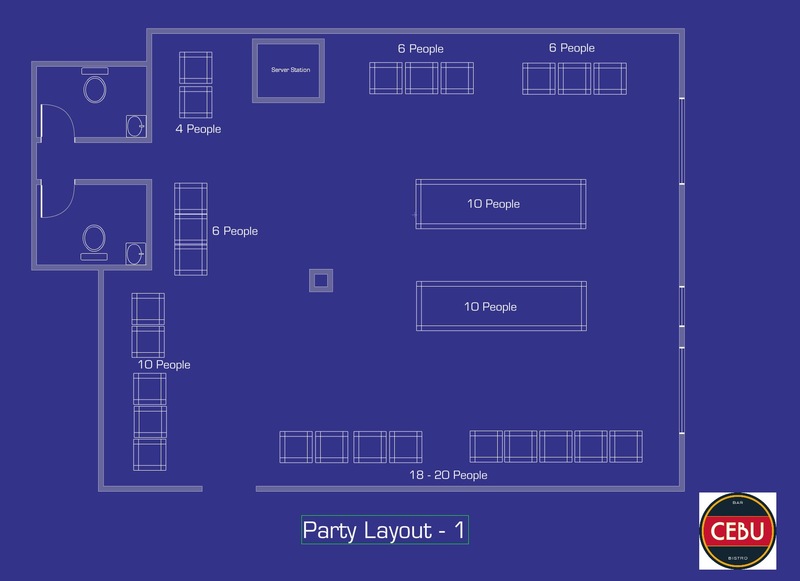 Note that all spaces can be combined to accommodate your private event. Also not that our Front Bar and Private Dining Room are not included in the below samples but are also available for events upon request.